Ever since the first Harry Potter novel fans were in awe of the spectacular castle, however, most of the outside scenes were shot with a model and most of the inside scenes were shot in real castles. 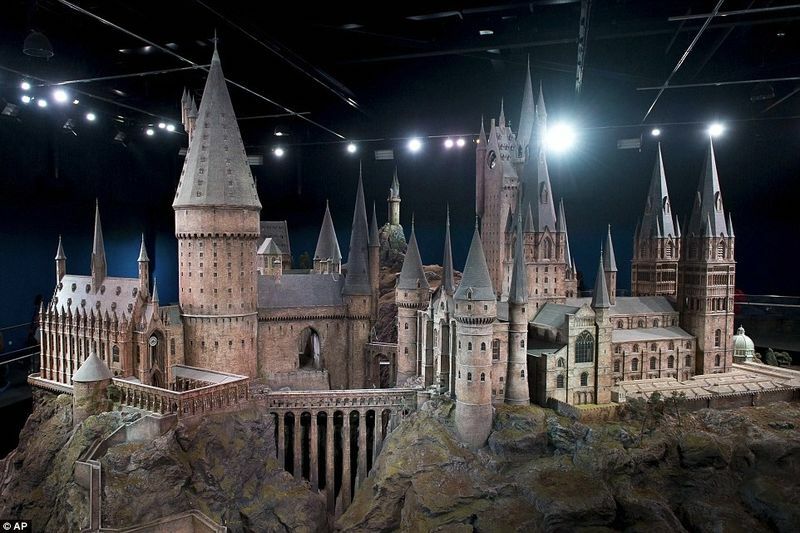 The1:24 scale castle model was built for the first film, Harry Potter and the Philosopher's Stone, and has been used for exterior shots in every film since. When all the time spent by 86 artists and crew members is added up, it took an incredible 74 years to build. Measuring 50 feet across, it has more than 2,500 fibre optic lights to simulate lantern torches and students passing through hallways. It even has miniature owls in the Owlery and hinges on the doors. Bafta award-winning production designer, Stuart Craig, designed and built the castle with the rest of his team. He said: "Everything to the right of the viaduct is, in fact, Durham Cathedral. But the profile has been changed so that there are tall, pointy spires so there’s plenty of theatrical exaggeration. It’s pretty extravagant, I have to say." You can find out more about the castle here. Video: Two New Harry Potter Books Are Coming Soon!